Each section within this book begins with Teacher’s notes which provide further information about methodology and contextualise activities as necessary, followed by photocopiable activity sheets. 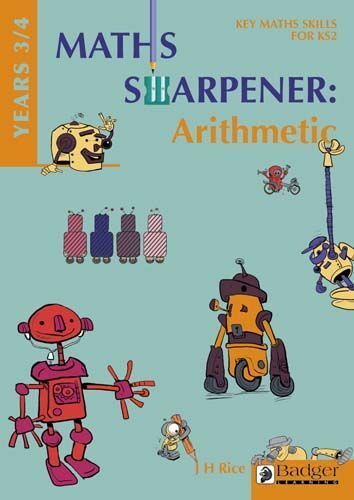 The activities are presented within the context of a robot world with two introductory sheets establishing this theme as well as making familiar the mathematical symbols and digibot motifs used throughout. Topics covered include place value, addition, subtraction, multiplication tables, doubling and halving, multiplication methods, division and general resources.